Huge success for Mapwize at Web Summit! Mapwize provided the official map of Web Summit 2017 in Lisbon, the major tech conference that gathered 60,000+ attendees. Our mapping platform combined Cisco CMX location service along with the latest Microsoft Azure real-time data processing technologies to provide the most effective service. 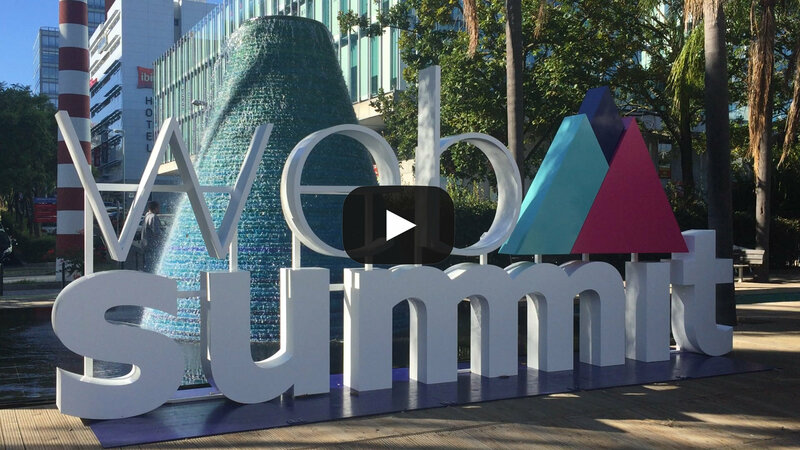 Embedded into the official Web Summit app, Mapwize was used more than 150,000 times. The quality of its features was highly acclaimed by both attendees and fellow exhibitors. Ranked in the Top 25 most hyped startups at Web Summit, Mapwize booth received many visitors, eager to discover all the new features of the platform. Even Carlos Moedas, the European Commissioner for Research, Science and Innovation, met with Mapwize for a presentation of the solution. During the whole event, Mapwize met numerous interesting international prospects, with whom we hope to develop many partnerships! Click on the video above to check out the outstanding figures for Mapwize at Web Summit and hear Cisco and Microsoft praise Mapwize! Early November, Chuck Robbins, CEO of Cisco, was in Paris to discuss the company’s partnership with the French government. 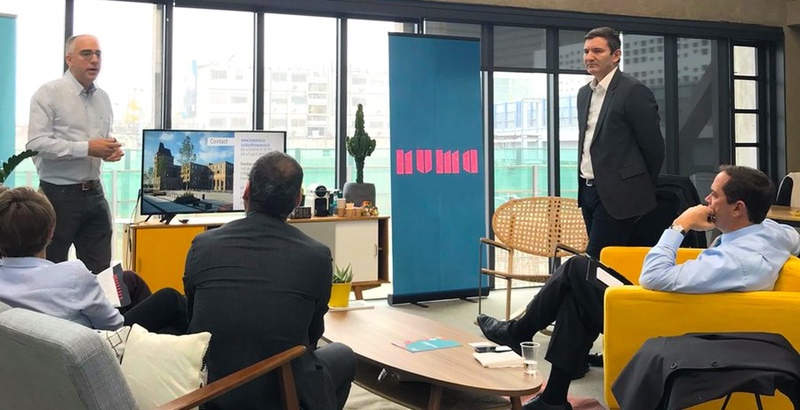 In the course of that visit, Cisco organized a meeting with a handful of startups to discuss innovation within the great startup campus, Station F, Paris. As a member of Cisco Acceleration Program, Mapwize was selected to participate to that meeting. Mederic Morel, our CEO, was highly honored to present Mapwize innovative mapping solutions to Chuck Robbins and further discuss joint developments with Cisco! 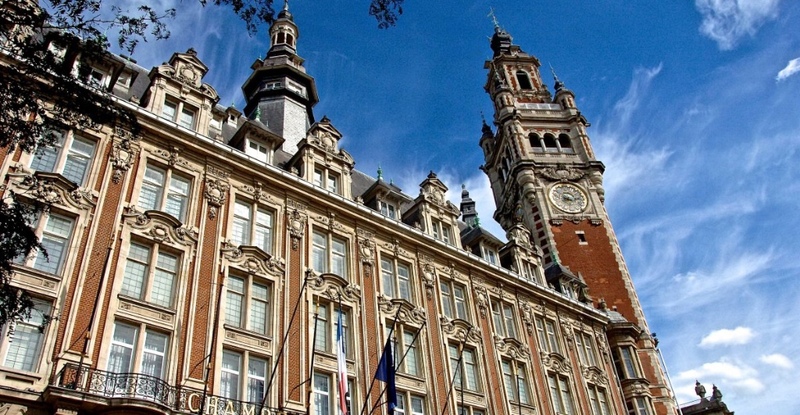 As part of the renovation and modernization of the “Palais de la Bourse” building, Lille's Chamber of Commerce and Industry assigned the mapping of this emblematic structure to Mapwize. Visitors can now easily find their way or locate specific places within the newly remodeled premises. In the workspaces, meeting rooms will be equipped with presence sensors to detect whether the meeting rooms are available or occupied and notify it on the map in real-time.